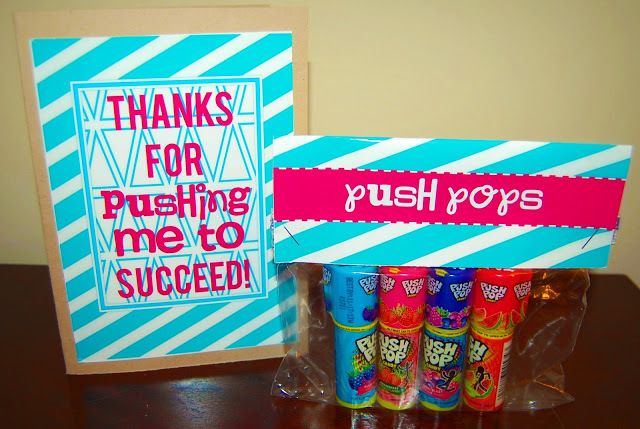 If you haven't noticed already, this blog is full of teacher appreciation ideas. I thought I would re-post a few of my faves for those who might be new to this blog. 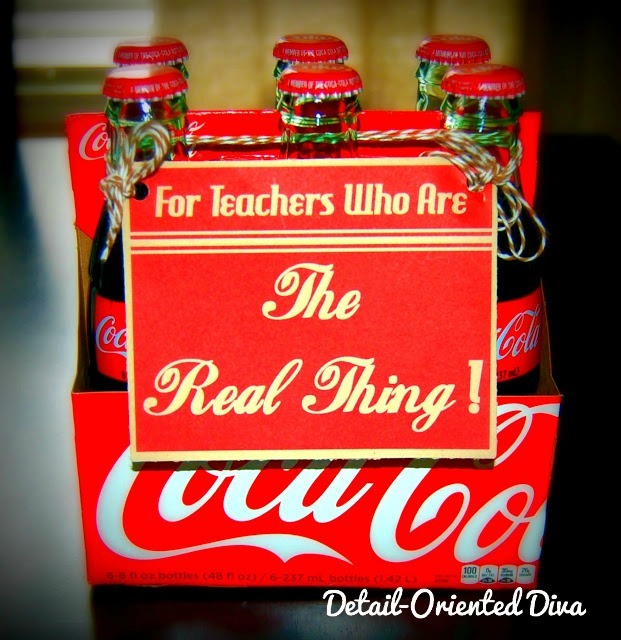 My favorite by far is this Coke Teacher Gift. It's so retro and super-cute! A dressed-up bunch of berries is sure to make your teacher smile. Especially when it's decorated with your kiddo's own fingerprint strawberries! 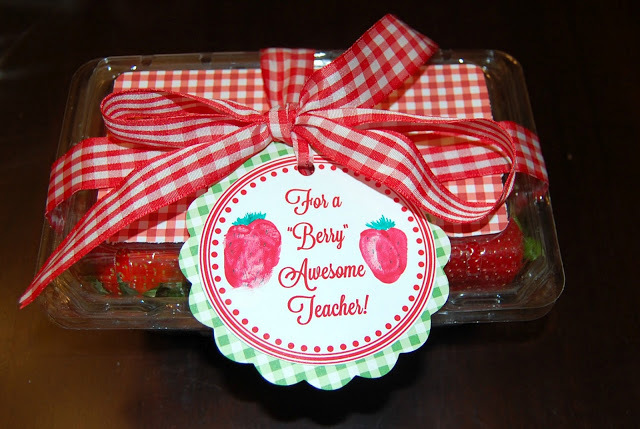 This gift for berry awesome teachers only! Give the teacher's apple idea a little bit of a boost with this super-cute clipboard! Cool to the Core! 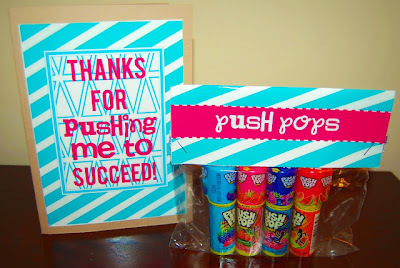 Got push pops? Try "Pushing" for Success! 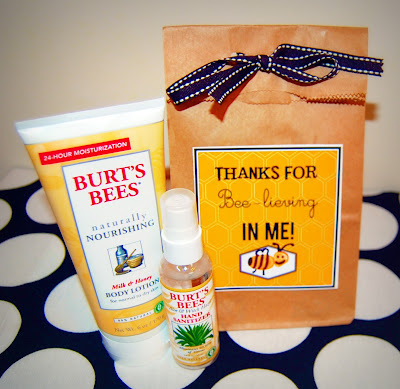 For the teacher obsessed with all-natural products; Burt's Bees is the way to go! 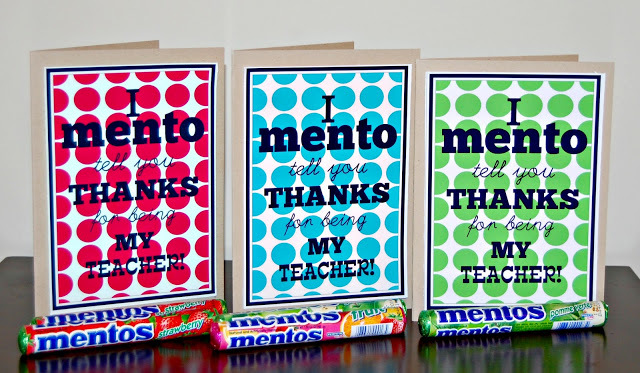 "Mento" To Tell You Thanks! This last idea has got to be the teacher gift that makes me the proudest. It took me forever to get the wording just right. But how appropriate is this gift with all the budget cuts these days? 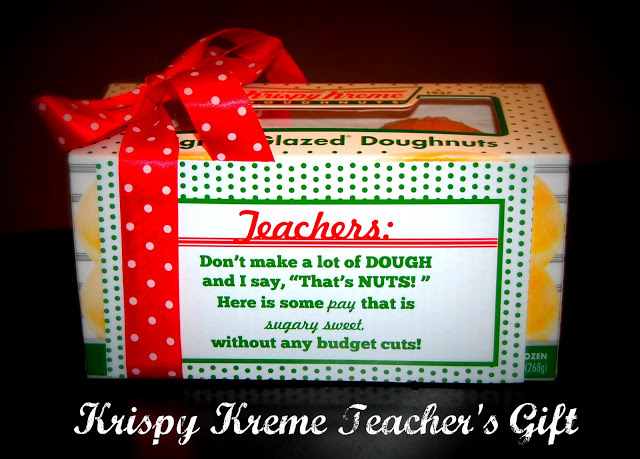 For the rest of my teacher appreciation ideas, click here. I love your creative teacher ideas! The doughnut gift is sad, but so true.